Located on the banks of the Mississippi River, Baton Rouge is the second-largest city in Louisiana, and it is the capital of the state. 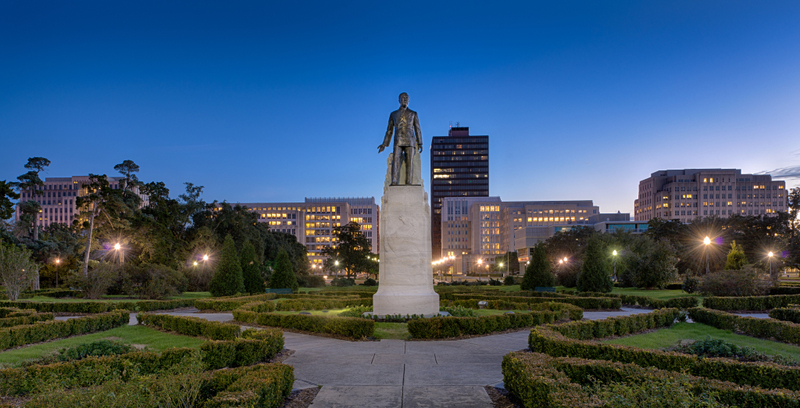 Baton Rouge is full of valuable historical attractions that can add to the cultural legacy of your family, school, or civic association. If you are heading to Baton Rouge, then we suggest you include the following historical treasures as part of your must-visit list. The Rural Life Museum gives travelers a peek at how life was experienced during the 1800s. The museum is home to one of the largest collections of day-to-day artifacts from the 1800s. If you are bringing in a group of students, then make advanced reservations in order to include extra hands-on activities hosted by the museum staff, and receive a group discount. If your group is interested in maritime and war history, then visiting the USS Kidd is a true delight. This destroyer saw action in WWII and the Korean War, and it is an excellent way to introduce student groups to academic units touching on U.S. conflicts abroad. In addition to the two attractions above, you may also want to consider visiting The Old Governor’s Mansion, Old Louisiana State Capitol, Pentagon Barracks, and Old Arsenal Museum. If you are looking for alternate destinations for your group with historical and educational value consider Williamsburg, Virginia. This hotel is a favorite in our book. Highly historical and wonderfully restored, your group will enjoy the historic mansion rooms or the modern luxury of the hotel rooms located in the cottages around the property. The grounds are magnificent, and the restaurants are ideal for groups celebrating something special. This highly rated hotel in downtown Baton Rouge won’t disappoint. Hotel Indigo Baton Rouge is close to the convention center and many other local attractions. Super modern and extra sophisticated; your group will feel pampered in every way.